refundable damage bond which will be refunded 1-2 days after your departure date. Our prices vary according to the season, short breaks,weekend offers -2 nights arrival Friday 1pm to Sunday 5pm departure, also we offer 3, 4, 7 & 10 nights. 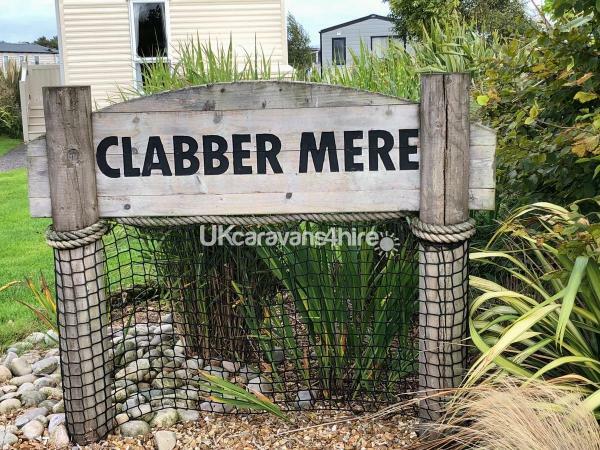 Our caravan offers a relaxing home from home atmosphere its ideally situated in quite plot not over looked on Clabbermere. It's within walking distance to all the local amenities Lakeland Haven park has to offer. 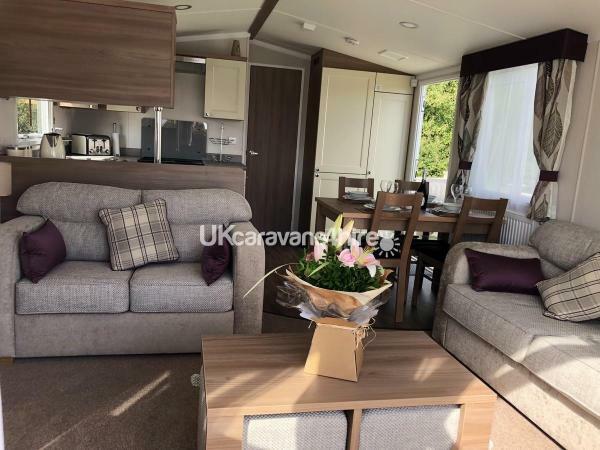 There is a parking bay to the front and additional parking available on the park close by to the caravan.We have a lovely spacious private decking area with seating with which to enjoy the morning, afternoon and evening sun. 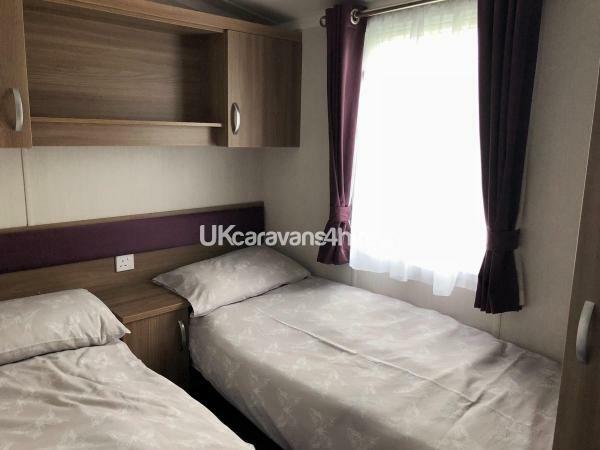 In brief the Caravan has three bedrooms, a main master double room, two good size twin bedrooms, double shower room/toilet, lounge, dining area, kitchen and separate en suit toilet to the master bedroom. Double glazing, Electric fire and Gas central heating. 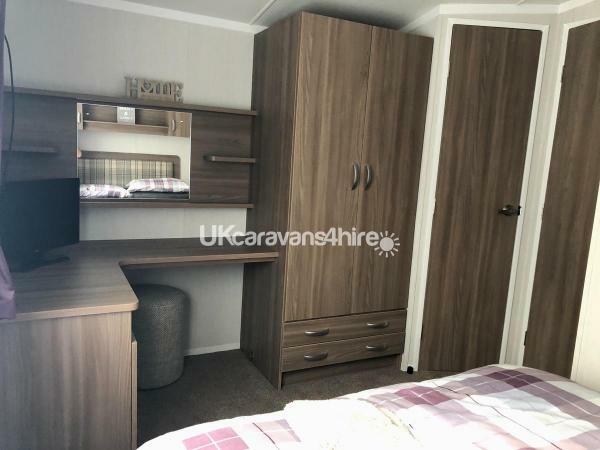 Lounge - Flat-screen TV with playstation, DVD and a selection of dvd's and games are provided, for occasional use there is a pullout sofa bed . we also have a Blue tooth integrated music system. 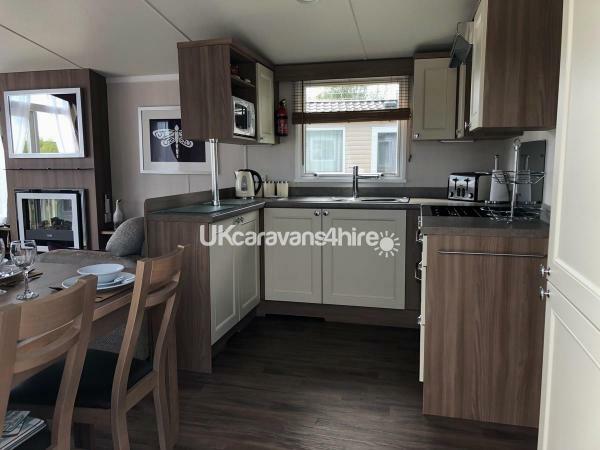 Kitchen - Integrated gas hob and oven, fridge freezer,microwave, toaster, kettle, pots, pans, crockery, glasses, cutlery and utensils are provided. 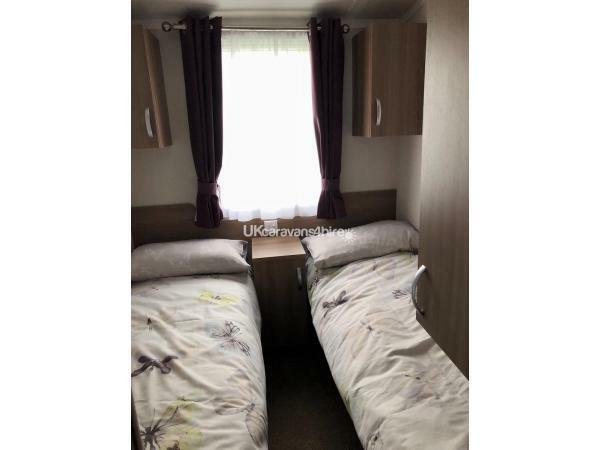 There are three bedrooms - which accommodate 6 people, One double with en suite and two twin rooms. Pillows and duvets are provided for all beds but please provide your own sheets, duvet covers, pillow cases, towels and tea towels (protectors for mattress, pillow & duvets are provided). 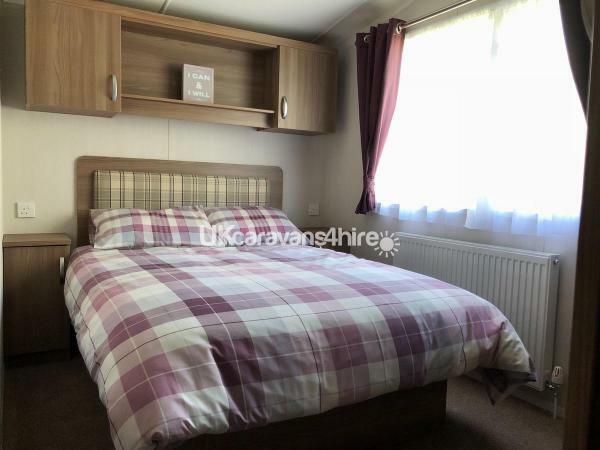 We have taken time to make our caravan feel home from home for not only ourselves, family, friends and others to have a wonderful time. we also provide a small selection of board games and cleaning equipment for all those little mishaps. The park offers- Family entertainment, Kids clubs, Sporting activities, Amusement Arcade area, Crazy Golf, Golf Course, Indoor Pool, Out door pool ,Boats and bikes to hire,Go carts, aqua bikes, aerial adventure and many more to keep the family entertained. Nature Reserve, Scenic walks -Look out for the ranger! and we must not forget the beautiful lake. Site Facilities - Restaurants, Takeaways, Grocery stores and a Launderette. Out and about - Cartmel village is approx. 4 miles away, as is Cartmel racecourse. Holker Hall and gardens is 2.7 mls. Grange Over Sands and promenade is 5.1 mls. Lakeland miniature village and oriental gardens along with the Lakeside and Haverthwaite railway are all within a few miles. Please do not hesitate to contact us for further information , we look forward to hearing from you and hopefully we will be confirming a booking for you very soon. Additional Info: kart hire, Segways, Multi-sports court, Target shooting, Aerial Adventure, Archery coaching, Football Academy, Bungee trampolines, Bikes and carts, Sand Art, Pottery and Boat hire. 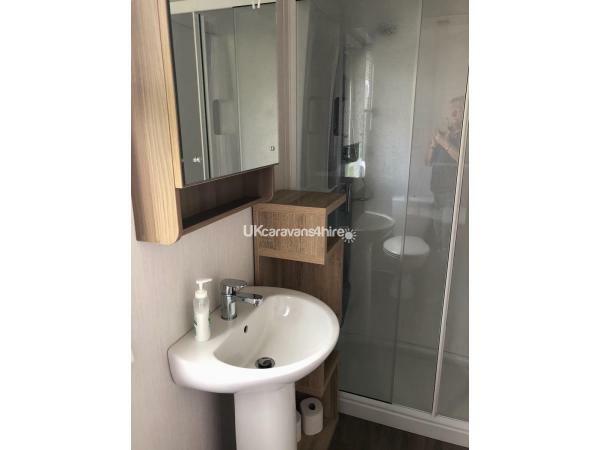 Caravan was absolutely spotless. Was set within a quiet cul de sac area close to a small park which was great for the kids. Only a 5 minute walk to the club house. Sun is on the front decking all day (we were lucky with weather for time of year). Not one complaint to make, would definitely recommend for any age group. Thank you so much Chris for the lovely feedback we hope to see you all again soon. We had a fabulous time even the rain did not stop our fun! The caravan has everything you need even games for a rainy day . We will defiantly be booking again next year. Thank you for a relaxing home from home break. Thank you Emma for your feedback it’s lovely to hear and I hope we see you again this year. 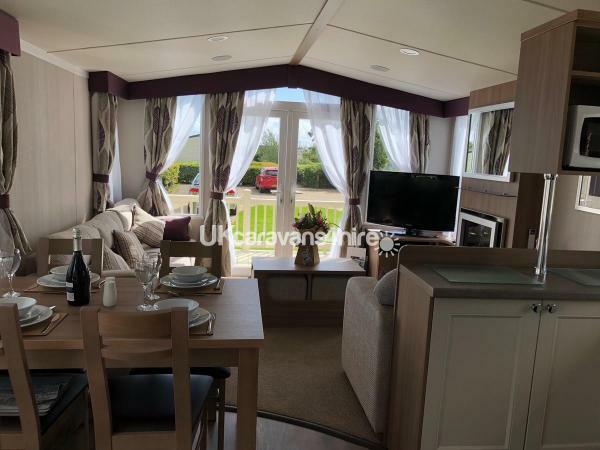 Amazing experience and facilities with The Wetherills caravan. It had everything we needed. Will definitely recommend and return in the future! Thank you for you kind comments and we hope to see you again you're been wonderful guests. Had a fantastic few days, the caravan was so lovely, cosy and homely and had everything you we needed,would definitely stay again. Thank you for your lovely feedback ,we are so pleased you enjoyed your stay hope you will return again.Many thanks Dawn & Martin.